This post is sponsored by the Fairy Hobmother. 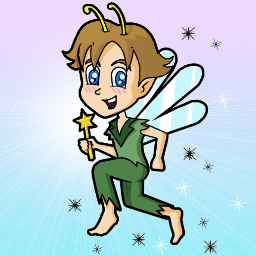 I’m the Fairy Hobmother, spreading light and joy across the blogosphere! I saw a comment you left on a post about me and followed it back to your blog. It’s clear that you work very hard on it, and I think that your hard work deserves to be rewarded. The best part is, if you comment on this post, you too may receive a visit from the Fairy Hobmother. Is this your first time hearing about the Fairy Hobmother? Have you received a visit? This post was sponsored by the Fairy Hobmother. I was compensated with an Amazon gift card. I have heard of him/her but haven't been visited. I would love a visit myself at TheMedianMommy.com (lauren@themedianmommy.com)! The fairy hobmother visited me a few months ago! It was so nice and put a smile on my face! Well the Fairy Hobmother certainly sounds awesome!! I hadn't heard of the Fairy Hobmother until a few weeks ago, then I googled him and he is everywhere! I googled him and he is everywhere!It was so nice and put a smile on my face!